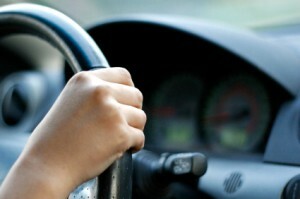 There are many different clauses in a car insurance policy, and it can get confusing. It helps to have some information about those parts of a policy that can affect you the most. One such topic is the difference between “Comprehensive” and “Collision” Coverage. “Comprehensive coverage” (a.k.a. “Comp” or “Other Than Collision”) and “Collision Coverage” are parts of an insurance policy that cover physical damage from an accident. However, the two are very different in what they cover. Liability coverage pays for damage you cause to another person’s property and/or their injuries, while physical damage covers your own vehicle. Physical damage coverage, which covers damage to your own car, is further separated into collision coverage and comprehensive, or “Other Than Collision” coverage. Let’s take a closer look at the physical damages components of your auto insurance policy. It’s an optional coverage to you, so you don’t have to have it. However, if you have a lease or loan on your vehicle, the lender or finance company may require you to purchase full coverage for your vehicle, in which case they will require that you include comprehensive coverage. So, it can prove useful if something happens to your car that is out of your control. Now let’s talk about collision coverage. Collision Coverage can best be described as any event that results in the “upset” of your vehicle. This includes any time your car collides or runs into something while you’re driving, or if something runs into it. Collision Coverage reimburses you for damage to your car after you’ve been in a car accident, whether you are at fault or not at fault in the accident. Most companies will not allow you to buy collision coverage without buying comprehensive coverage; however, some may offer policies that have comprehensive and not collision coverage. When shopping for collision and comprehensive coverages, consider whether you need these coverages and how high you want your deductible to be. Older and/or low-value, it may not be worth purchasing these coverages, since they will only pay up to the estimated fair market value of your car. Newer and/or high-value, having these coverages can save you from paying out significant costs to repair or replace your car (if totaled). Note that if your car is totaled, your collision and comprehensive insurance will only pay you the estimated fair market value of the vehicle. If you have a loan or lease, consider gap coverage, which will pay the difference between your how much you owe and the car’s cash value. Also consider what you put your car through on a daily basis. For example, if you drive a lot of miles, or if you park your car in a location that is especially susceptible to theft or vandalism, you might want to have comprehensive coverage. A deductible is the amount towards a claim that you are responsible for out of pocket before your insurance pays out. Collision and comprehensive insurance coverages require you to pay a deductible whenever you make a claim towards either coverage. Insurance companies often offer different set options for how high your deductible is. Choosing a higher deductible lowers your premium. Keep in mind that a high deductible means you are paying more up front and out of pocket towards a claim. If you choose a high deductible in order to save money on your premium, make sure you have enough money saved to pay your deductible when you need your insurance. Simply meeting your state’s car insurance requirements may not provide you with enough protection. When comparing car insurance quotes, consider carefully how much coverage you need and whether collision and comprehensive coverages are right for you. When in doubt, ask your agent.